Comes With a Special-Needs Section Too! 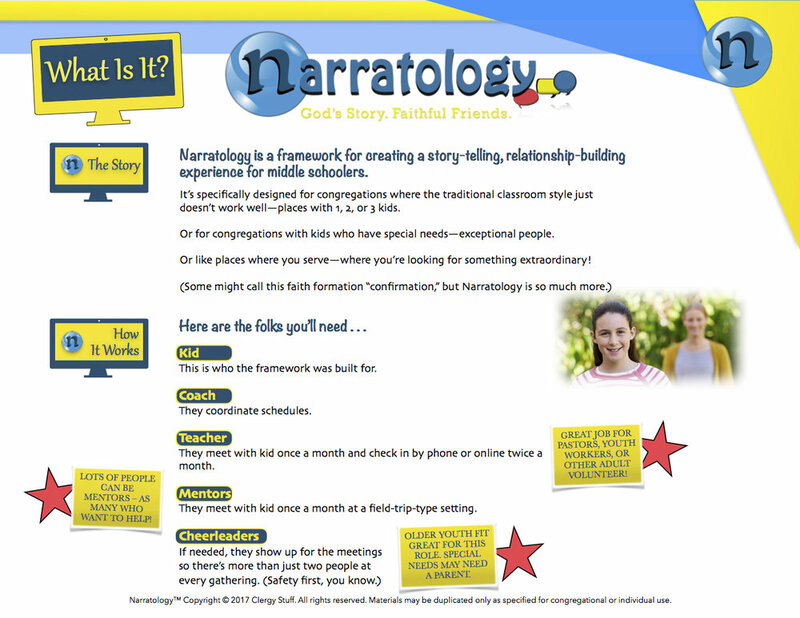 Narratology is a framework for creating a story-telling, relationship-building experience for middle schoolers. Narratology™ is specifically designed for congregations where the traditional classroom style just doesn’t work well—places with 1, 2, or 3 kids. Or for congregations with kids who have special needs—exceptional people. Or like places where you serve—where you’re looking for something extraordinary! 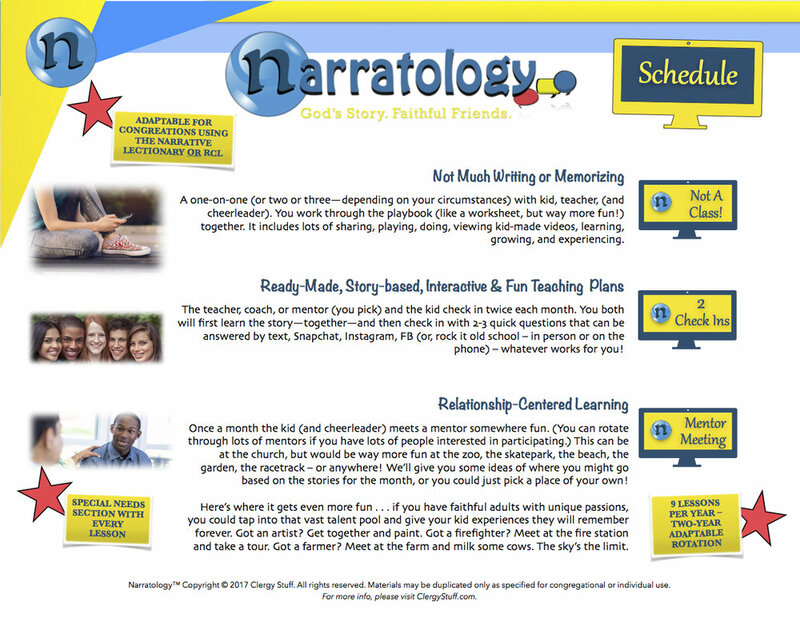 How Narratology™ is exactly what your congregation needs for a mentor-based, story-driven church confirmation program. Feel free to click on a image to open it in a lightbox for greater detail about this brand-new confirmation program!